The asters in flower are framing the hill, in a swath of lilac cloud flowing across the top and sides. 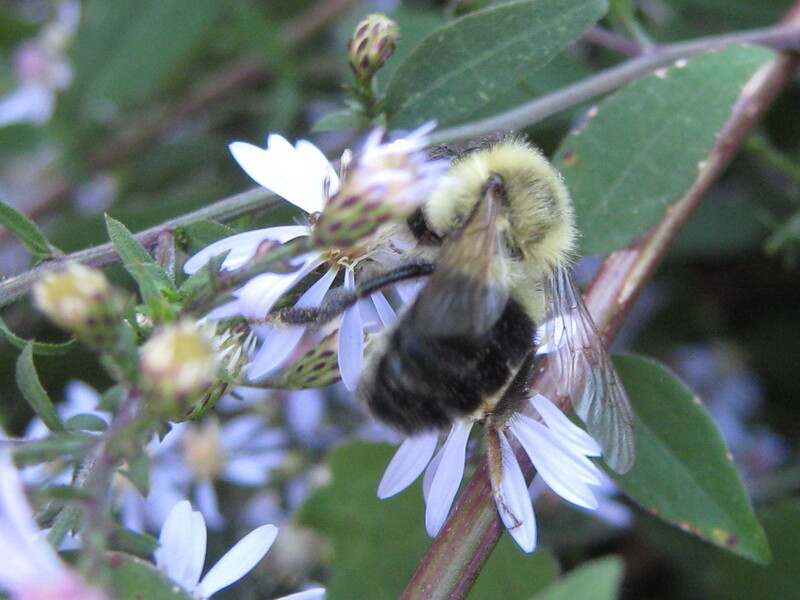 All of September, the honeybees were swooning over the sedum, and the bumbles had the asters to themselves. I’ve been trying to get a good picture of a bumble for a month now, but they hustle from flower to flower as if there’s so many of them the bumbles just have to visit them all. 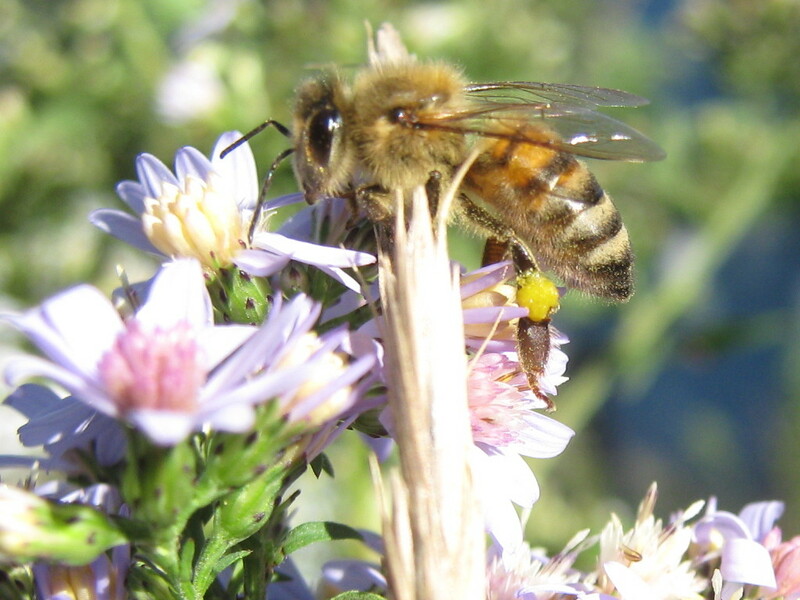 Now that the honeybees have joined in, here’s one taking her time getting every bit of nectar and pollen. Meanwhile the bumblebees turn their backs on me and keep moving.